What is Parkinson’s disease? Parkinson’s disease is a progressive condition of the nervous system. Those with the condition may not experience any significant initial symptoms. Once symptoms do show, they often start on one side of the body. Once symptoms progress and affect the entire body, the side where the symptoms began will almost always remain worse. Patients with Parkinson’s have tremors or shaking and their movement becomes slower over time. The muscles can become rigid, limiting the person’s range of motion. Automatic movements like blinking or smiling may diminish. There may be differences in the way they speak or enunciate their words. Impaired posture and balance problems sometimes occur as well. Many people who require Parkinson’s home care are no longer able to do simple everyday activities. Parkinson’s patients vary a great deal in the symptoms they develop and how the condition progresses. There is no cure but there are several treatments available for the various symptoms. In some cases, surgery or deep brain stimulation may be used. These methods are typically limited to those with advanced conditions whose medication is no longer sufficient to alleviate symptoms. The services provided by a highly skilled caregiver can also benefit many patients. Those who have a decreased range of motion or who are unable to use their hands effectively need help with everything they do. They can also benefit from a healthy diet and regular exercise when performed under the supervision and guidance of a trained caregiver. Ongoing research has led to a number of recent improvements in how Parkinson’s is treated. At this point, the only option is to treat symptoms and help those affected with the condition to lead healthier, fuller lives. Until there is a cure, Parkinson’s patients and their families must live with the reality that they will never return to their normal condition. Ensuring the Patient Maintains a Healthy Diet – grocery list preparation, personalized meal preparation, preparing food, monitoring their diet, and meal assistance when needed all contribute to a healthier diet. Providing Medication Reminders – patients rely on their medications to make them feel better and to feel as normal and pain-free as possible. A caregiver can provide reminders when it is time to take medications to keep the patient on-track. They can also pick up prescriptions from the pharmacy. Appointment Management – caregivers can schedule appointments and remind clients when they need to see their doctor. Companionship – providing companionship through engaging conversations, assisting with working puzzles and other types of mental awareness stimulation, watching movies, or reading a book to them is one of the most valuable Parkinson’s home care services we provide. If surgery for Parkinson’s is something you are considering for your loved one, we will need to work with you to set up a rehabilitation plan. Deep brain stimulation isn’t given until three or four weeks following the surgery. Symptoms are likely to remain and continue to make everyday functions difficult until that time.  All Heart Home Care can provide supportive services to help until your treatment is complete. A caregiver can provide light housekeeping services such as vacuuming, changing linens & making beds, dusting, doing the laundry, washing dishes, taking out the trash, and caring for houseplants and pets. Our Parkinson’s home care also includes personal care services. A caregiver will provide help with showering or bathing, attending to personal hygiene, grooming, washing and styling hair, getting dressed and undressed, getting up and down stairs, light stretching or other low impact exercises, and getting in and out of the bed. Regardless of the treatment path you take, Parkinson’s home care is an essential part of a successful outcome. All Heart Home Care has a team of qualified caregivers ready to provide the personalized care you need. We rely on the skills and training of personal care attendants, home health aides, certified nurse’s assistants and an on-call licensed vocational nurse to meet a variety of needs for different Parkinson’s patients.